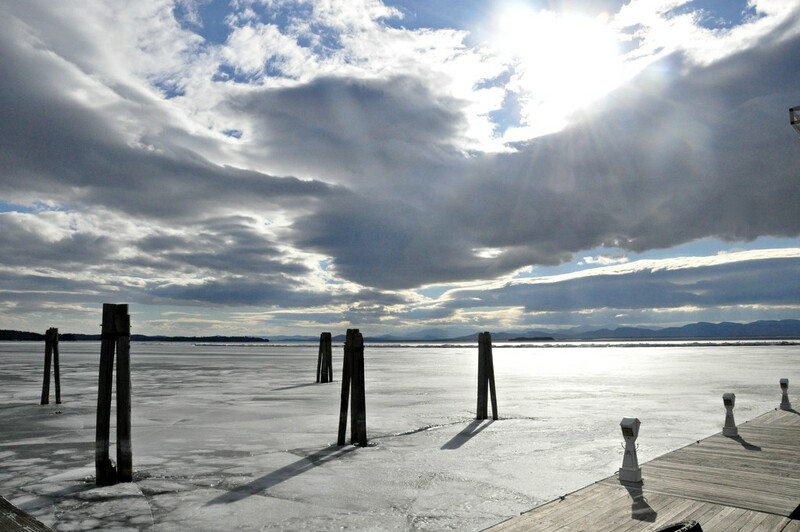 Burlington, VT looking towards the mountains in NY. The lake is still frozen. Goodness - and the sun is still low. ! You poor guys. Time for a Spring thaw. Fabulous scene and wonderful lighting. This scene is lovely ...I especially like the sweep of the clouds in the sky! Oh my! This is a great photo. A lovely capture. I love the light, and the contrast of the sharp angles against the clouds.